Memoji Headphones on and some hot tea & honey just a tad of honey for sweetness. 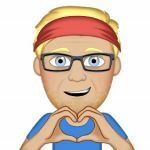 Memoji u know those headphones u have on...oh yea..perfect. turn up and just go go go go go go go go go check the fax machine its important. Memoji I really like ice cream and cupcakes. Memoji still full from lunch...what about a coffee for dinner.